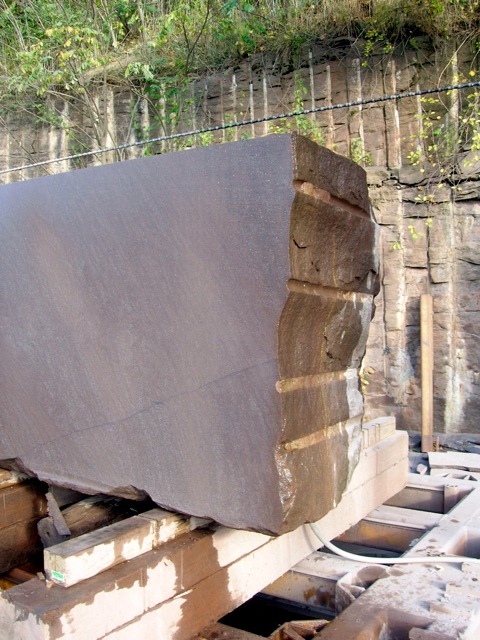 Brownstone is perhaps the most famous building stone of the east coast, quarried for more than three centuries and used primarily in New York, Boston, and Philadelphia. 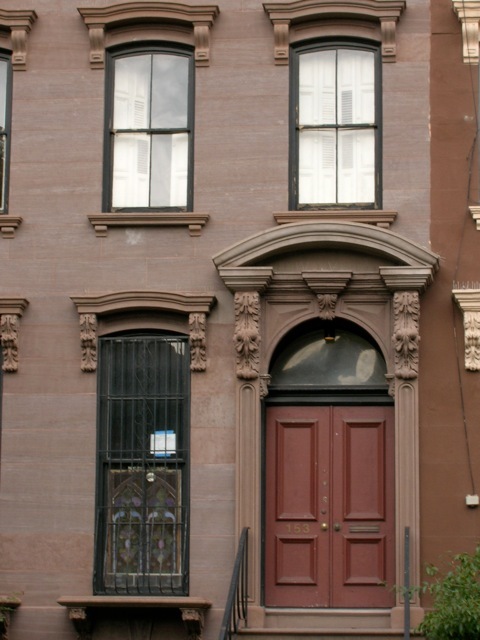 During its peak in the late 1800s, brownstone was the stone to use from coast to coast. So popular was it that “Silver King” James Flood shipped hoards of it around Cape Horn from Connecticut to San Francisco for his mansion, the only building on Nob Hill to survive the 1906 San Francisco earthquake. 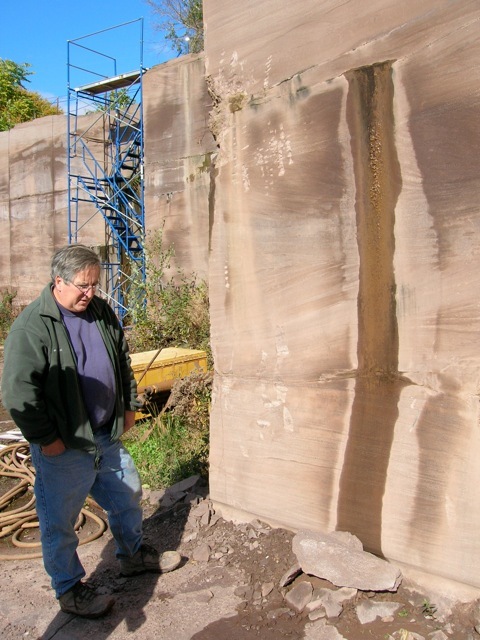 But an article in yesterday’s New York Times reported that the final brownstone quarry is now closing. 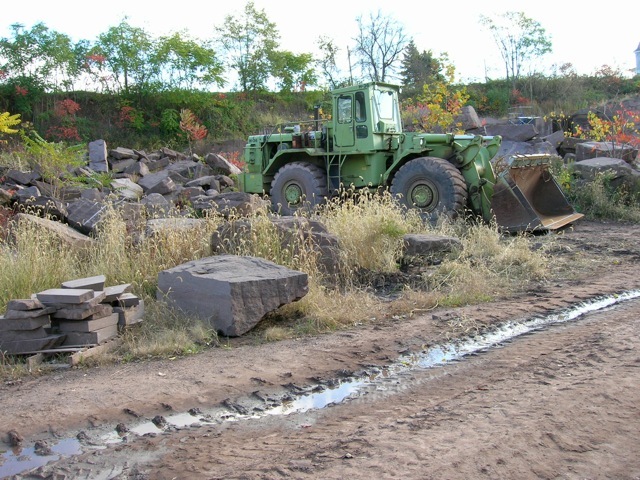 That quarry was in Portland, Connecticut, where the first quarries open in the late 1600s. The area was the prime source for brownstone in New York City. The stone is a 200-million year old sandstone deposited in a valley formed by the breakup of Pangaea. Meehan’s first contract was for $25,000 worth of stone for a restoration project at Gallaudet University in Washington, D.C. He quarried the stone and sent it to Barre, Vermont, to be cut. The only local stone the university had been able to get was from old railroad trestles. He eventually acquired what I described as a giant-wire cheese slicer, except that the wire is impregnated with industrial diamonds. This wire travels between two, spinning, vertical wheels mounted about 20 feet apart from each other on a steel frame. 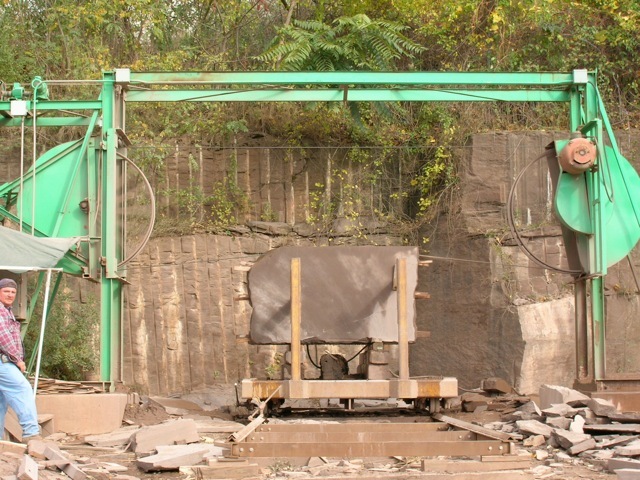 By lowering the wheels in tandem up and down on the frame, Meehan lowers the horizontal wire, which cuts into the block of sandstone. But now Meehan has put the quarry up for sale. He is 63 years old and wants to retire. It is sad day for brownstone and those who love beautiful stone. Thanks Mike for all you did for the stone and keeping the story of brownstone alive. I have been to that quarry many times. Having lived in CT all my life until a few years ago, it’s sad to hear that Mikes days at the quarry are done. But I am certain that someone will buy the quarry and keep harvesting Portland Brownstone for much needed restoration efforts.